Our family home is in the Kentish countryside on the outskirts of Staplehurst. Sanders Oast was converted from derelict farm buildings in 2002 and was once surrounded by the hop gardens that gave rise to these iconic buildings which can be found throughout Kent. Our family home is in the Kentish countryside on the outskirts of Staplehurst. We are an hour south of London on the train and within striking distance of Gatwick airport and the Channel tunnel. 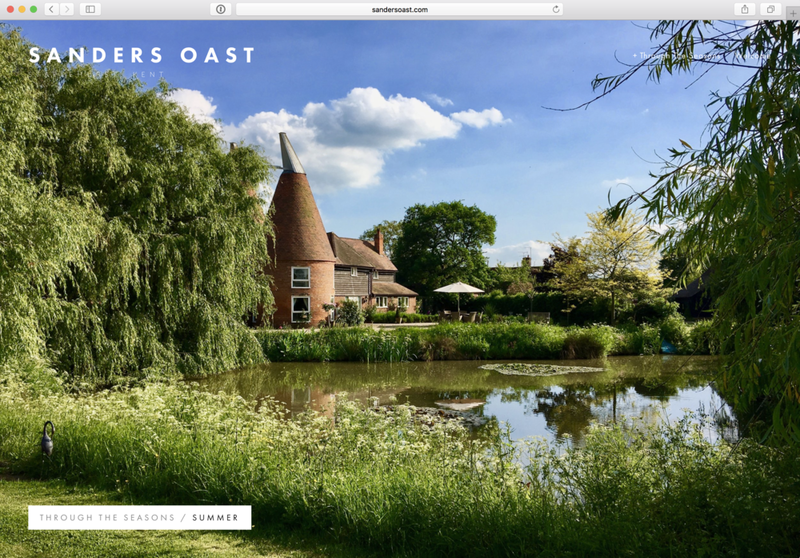 Sanders Oast was converted from derelict farm buildings in 2002 and was once surrounded by the hop gardens that gave rise to these iconic buildings which can be found throughout Kent. Today, virtually all of the hop gardens have disappeared and fewer than 3,000 acres remain. Our corner of the Garden of England is still beautiful and the famous apple orchards are still being planted. Fruit production is a major activity on local farms and the countryside offers many wonderful walks with splendid views.